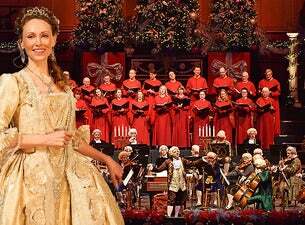 Enjoy a concert of carols and seasonal classics in a candlelit setting and staged with the Mozart Festival Orchestra in full 18th century costume. The evening's programme includes pieces by Cullen (Joy to the World), Pearsall (In Dulci Jubilo), Handel (Zadok the Priest, Let the Bright Seraphim and Willocks (I Saw Three Ships and Christmas Sequence from Messiah) as outlined below. There will also be carols for all to sing including Once in Royal David's City, Good King Wenceslas, While Shepherd's Watched Their Flocks by Night, O Come, All Ye Faithful and Hark! The Herald Angels Sing.